BT today launched a three-year, $3 million (£1.52 million) development partnership with UNICEF which will bring education, technology and communication skills to children from poor socio-economic backgrounds in Brazil, China, and South Africa. In the first year, the partnership will reach over 18,000 children in deprived communities in South Africa, focussing on basic education. 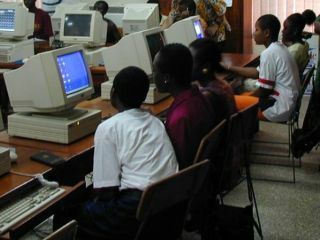 In addition to installing 250 computers, BT will help renovate schools and build additional classrooms and computer labs for students. BT said it hopes to "provide students with practical ICT skills that will assist in their future economic independence and ultimately help them become skilled members of the workforce". The primary focus of the partnership will be on creating a secure and productive learning environment, especially for girls. The students will be mentored, coached and trained in communication, technology and science, and gain skills in areas which they are not well represented. Macharia Kamau, a representative from UNICEF South Africa, said: "This initiative will bring South Africa a step closer towards meeting the Millennium Development Goal 2 - agreed to by all the world's countries - of ensuring that all boys and girls complete a full course of primary schooling by 2015." As part of the investment, training for 150 head teachers and administration staff will also be provided. Andy Green, CEO of BT Global Services said: "Those of us who have grown up with technology often take it for granted. We hope to help UNICEF bring the benefits and opportunities of technology to children and young people in some of the country's most remote and poorly resourced communities." The partnership builds on three community programmes that BT is currently involved with in India, where some 9,000 children have been educated in ICT skills.